Kieffer claims that their reindeer saddle pad is not just an “eye catcher.” It also “supports with the treatment of abraded positions.” Huh? Is this translated from German to Japanese to English? You may be wondering why a company as venerable as Kieffer would market a reindeer saddle pad (and be too cheap to hire a decent translator if their in-house copywriters didn’t learn how to speak perfect English in school, which is what I thought they all did in Europe). Oh well, never mind, they may not be on the cutting edge of German-English translation, but I’m guessing that they’re right on the cutting edge of the news published online in the Equine Veterinary Journal. That’s where a group from the University of Veterinary Medicine in Vienna published their research on The Effects of Different Saddle Pads on Forces and Pressure Distribution Beneath a Fitted Saddle . The fact that the title of their article refers to a “Fitted Saddle” (as opposed to a Non-Fitted Saddle?) should prepare you for the different kinds of saddle pads these guys chose to compare: gel, leather, foam and reindeer fur. That’s right, that was their top four: gel, leather, foam and reindeer fur. 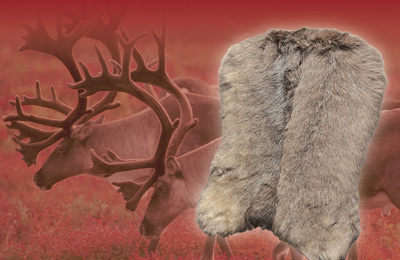 How many people have ever seen a reindeer fur pad or would even think of one? Why no felt? No sheepskin? Are these guys horse people or what? Are they living in Lapland? No, they’re in Austria, where I’m sure they sell lots of Mattes and Christ sheepskin pads. So let’s say they have a bias, or their research was funded by the Anti-Santa Coalition. But thanks to Kieffer, I now know what makes reindeer fur so special. It’s the “ca. 700 hollow hairs and 2000 woolly hairs per centimeter!” (Kieffer’s exclamation point). Deer and elk also have hollow hairs but I’m guessing they have less than 2000 per centimeter and are a lot less fluffy (and heartbreaking). Personally, I love my Prolites and I succumbed to a Back on Track saddle pad just a few weeks ago, because I love all their other products. But do you think Santa would be offended if I put a reindeer saddle pad on my Christmas wish list? Ooh, reindeer- it’s exotic so it MUST be better! Seems like not-so-good idea to me, what if you use it in the summer? Wouldn’t your horse sweat like mad? Wouldn’t all the sweat and abrasion wear the hair off? I just bought a suber pad. It may have been the dumbest decision ever or brilliant, I can’t tell yet. At least I can resell it on Ebay if I hate it. I gather that the reindeer pelt, with all its hollow-core fibers, is supposed to ensure a free flow of air, therefore reducing the heat build up. Similar to sheepskin, which is supposed to keep horses’ backs cool in the summer under the same principle. Who knows? If Santa does put one under my tree, I’ll definitely post the report of my trials with it. Sometimes I think the best idea is just to ride without any pad at all, let the leather and wool absorb what heat they can and disperse the rest through the gullet of the saddle. All it means is a little extra saddle soap. I’ve done this for a while with one horse, but not for a while with any recent horses. It’s probably an idea worth revisiting. It looks like an intriguing idea — a beanbag of cork balls for your horse’s back. And it’s green. I’m looking forward to hearing how it works for you! Hi Kathie — Thanks for your comment and for contributing to the blog. I always learn something from readers’ contributions, and I know that readers learn from readers, too. It’s a treat to get a timely comment on this post from a professional translator! 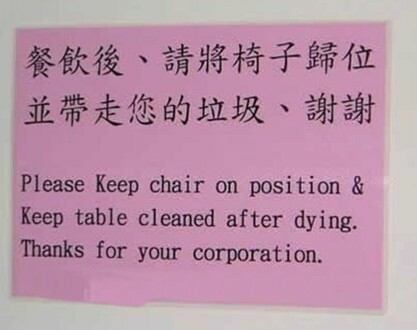 Do you think this translation was a google translation?